The natural reserve of Donnafugata is one of the most enchanting Sicilian area. It is famous for the homonymous Castle, several wild beaches and ancient burgs. 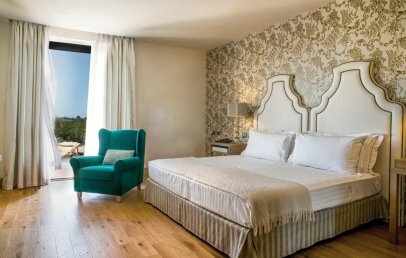 The five-star Donnafugata Golf Resort & Spa is just an hour by car from the Catania International Airport and only few kilometres from the Baroque city of Ragusa. The resort is a fantastic point of departure to visit tourist attractions and cultural sites part of a UNESCO World Heritage. 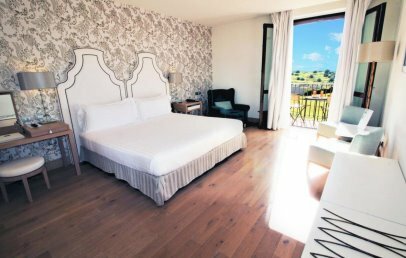 Donnafugata Golf Resort & Spa preserves all the charm and original details of an ancient noble estate, with a minimum of 500 hectares, belong to Arezzo Marquis. The atmosphere is elegant and refined. 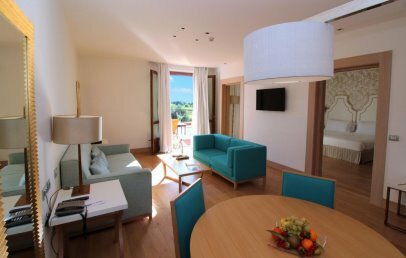 The Hotel consists of different congress and meeting rooms, 900 sqm of Spa with swimming pool, fitness center and 6 rooms for personalised treatments; it presents 2 championship courses (18 holes) surrounded by 200 hectares of greenery. 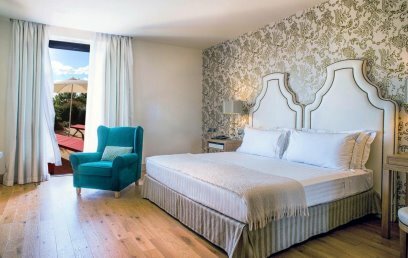 194 rooms and suites with unique furnishings, refined and elegant. All are cosy, bright and have complimentary Wi-Fi connection, air condition, safe, satellite television, minibar and kettle. The patio, balcony or terrace are equipped with loungers or chairs. 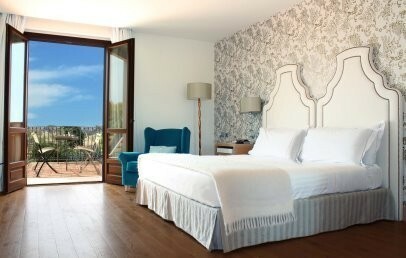 The Superior, Deluxe, Premium, Luxury Premium have a double room of 38 sq.m. surface and are either located on the ground floor with a patio or on the first floor with a balcony. The Granden Suite and the Terrace Suite have a surface of 77 sq.m. including a separate living room. The Granden Suite is located on the ground floor with patio and the Terrace Suite on the first floor with a big terrace. Morover they have additionally a coffee machine, Sky decoder and 2 Tvs. The nearest beach is at approx. 5 km distance. The hotel offers a free shuttle service to the Beach Club, guaranteed from June to end September with timetable and it is necessary to make the reservation in advance directly at the reception. Guests have access to a reserved and equipped area at Beach Club. Free access to the Beach Club with sun beds and umbrellas (entrance upon reservation and places limited, upon availability). 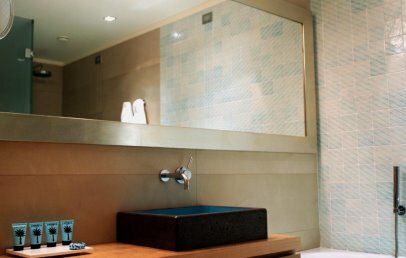 The Spa stretches over an area of 900 m2, where peace and privacy is granted. Innovative treatment methods and mud and beauty treatments are offered to spoil each guest holistically and individually. It offers 6 luxurious treatment rooms with view over the golf park, sauna, steam bath, indoor and outdoor pool, relaxation area with tea corner and fitness center. All year offer: 1 hours daily complimentary entrace with use of Hammam, sauna, swimming pool, whirlpool valid from 2 pm to 9 pm or 2 hours daily complimentary entrance (can’t be combined with abovementioned offer) per person, per overnight with use of Hammam, sauna, swimming pool, whirlpool valid from 9 am to 2 pm. The entrance is to book in advance. Children under 16 are not admitted to the Spa. Donnafugata Golf Club has been the first Italian Resort developed by following the great international golf examples. There are two course types: the northern course designed by Gary Player (18 holes, par 72, length 6700 m) and the southern path, designed by Franco Piras (18 holes, par 72, length 6600 m). The Donnafugata Resorts delights all guests tastes with different restaurants. The rich sweet and savoury breakfast buffet is served at the “Il Ficodindia” restaurant. The dishes are prepared on sigh and personalized as you prefer. “Bedda Mia” offers traditional dishes and ideal for cuisine an pizza lovers. A friendly atmosphere welcomes the guests on the two terraces with an excellent service. “Surf ‘n’ Turf” – Grill Terrace located on the terrace with panoramic view over the golf courses. During the summer season it offers mainly dishes cooked at sight on the grill. 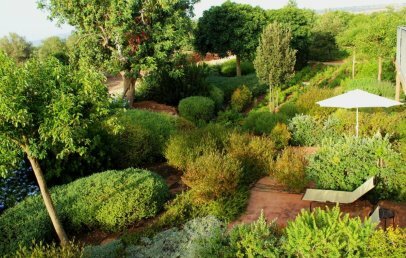 At the elegant and panoramic “Il Carrubo” you can choose between regional and Mediterranean cuisine, a delightful balance between tradition and innovation usually accompanies offers with the finest Sicilian wines from the Carrubo cellar. At the “19th Hole Club House” you can enjoy a cocktail and special snacks, such as gourmet sandwiches or fish and meet by the buffet. Guests can enjoy, relax and be active, thanks to the hotel facilities as the Spa, Golf court, complimentary fitness area, heated indoor swimming pool at the Spa, outdoor swimming pool sun terrace. A professional concierge service is available 24/24h. Tourist tax – The municipality of Ragusa requires the payment of € 2,50 per person/overnight for a maximum of 7 consecutive overnights, to pay on-site. 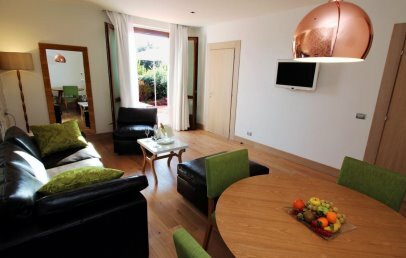 Well-lighted, elegant and spacious double room, located on the first floor. Stylish and comfortable retreat complete with hardwood floors. The bathroom has either a shower or a tub, hairdryer, heated towel rails. 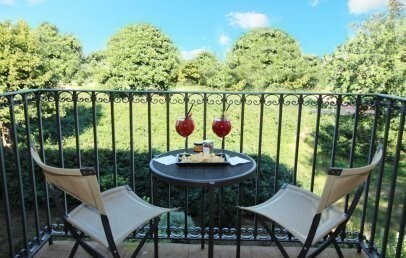 The rooms have a balcony equipped with a table and chairs offering a nice view over the garden of the resort. All rooms have complimentary Wi-Fi connection, satellite TV, minibar, safety box, air conditioning. Elegant and spacious double room located on the ground floor. Stylish and comfortable retreat complete with hardwood floors. The bathroom has either a shower or a tub, hairdryer, heated towel rails. The rooms on the ground floor have a patio (22 sq.m. 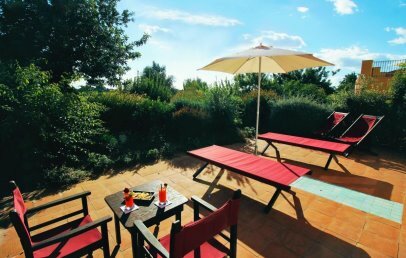 ), equipped with loungers and umbrella and overlook the flourishing garden. All rooms have complimentary Wi-Fi connection, satellite TV, minibar, safety box, air conditioning. An elegant and spacious Suite with separate living room located on the ground floor. Stylish and comfortable retreat complete with hardwood floors. The bathroom has either a shower or a tub, hairdryer, heated towel rails. It offers a patio of 44 sq.m. 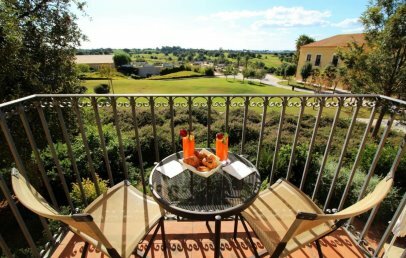 surface and is equipped with loungers, umbrella, small table and chairs, surrounded by Mediterranean vegetation and with panoramic and direct view over the golf course. All rooms have complimentary Wi-Fi connection, 2 satellite TVs, Sky decoder, coffee machine, minibar, safety box, air conditioning. An elegant and spacious Suite with separate living room located on the first floor. Stylish and comfortable retreat complete with hardwood floors. The bathroom has either a shower or a tub, hairdryer, heated towel rails. It offers a large terrace of 57 sq.m. 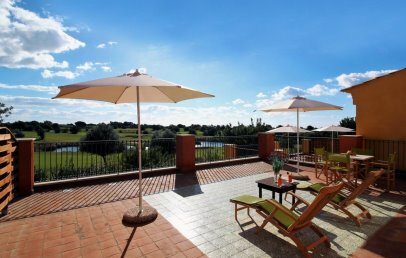 surface, equipped with loungers, umbrellas, table and chairs and with panoramic and direct view over the golf course. 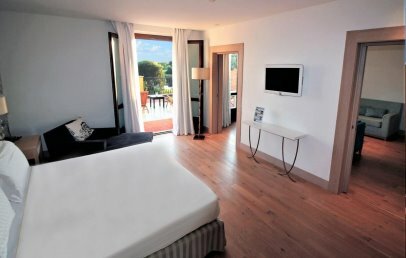 This Suites have all complimentary Wi-Fi connection, 2 satellite TVs, Sky decoder, coffee machine, minibar, safety box, air conditioning. Elegant and spacious double room located on the first floor. Stylish and comfortable retreat complete with hardwood floors. The bathroom has either a shower or a tub, hairdryer, heated towel rails. 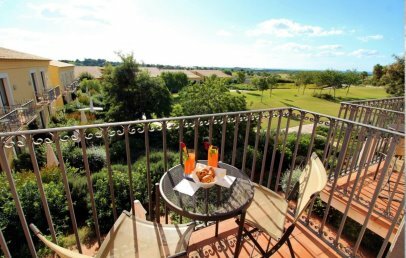 The rooms have a balcony overlooking the beautiful countryside. 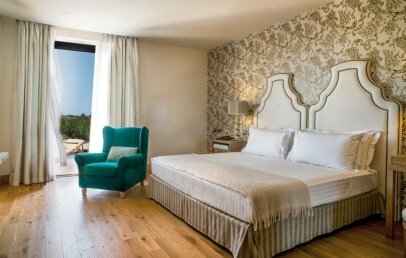 All rooms have complimentary Wi-Fi connection, satellite TV, minibar, safety box, air conditioning. Elegant and spacious double room, located either on the ground floor. Stylish and comfortable retreat complete with hardwood floors. The bathroom has either a shower or a tub, hairdryer, heated towel rails. The rooms have a patio (22 sq.m. 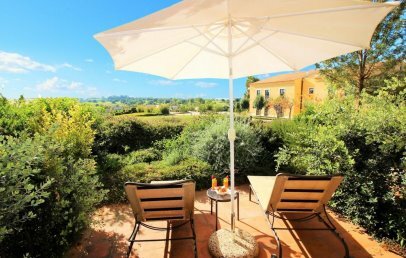 ), equipped with loungers and umbrella and overlook the flourishing garden. All rooms have complimentary Wi-Fi connection, satellite TV, minibar, safety box, air conditioning.